Submit 25 game tips, strategies, or house rules and receive a total of 1200 positive ratings. Submit 20 game strategies and get 680 positive ratings. 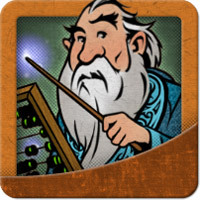 Ghost Stories is a fully cooperative game in which you control Taoist monks defending a village from an onslaught of ghosts and try to prevent the return of Wu-Feng, Lord of the Nine *****. Players move about the village, fight ghosts, and call upon special abilities of the villagers. The game prominently features variable player powers and winning requires careful balancing of conflicting goals. This game is a tightly-woven ball of simple but beautiful mechanics. The combat rules reward you with improved efficiency when you take your time to prepare for a fight, but the ghosts instill urgency with a variety of abilities that punish you for ignoring them, requiring constant re-evaluation of your priorities. The ability to exorcise two ghosts at once in a corner space is a great boon, but the corners offer the fewest movement options, so taking full advantage of them requires careful planning. The Taoists all have powerful, game-changing abilities. The game offers a satisfying variety of options, and every single one of them will save the day in one situation or another. There are times you must band together and times you must split up. There are times you will spend your entire turn just setting up the next player for a key exorcism. There are times you must throw yourself into the jaws of death in a desperate gambit, and times when you must force yourself to sit calmly in the tea house while all the ghosts of **** howl around you. But for all that, you can teach the rules to a new player in about five minutes. Learning from the rulebook is a bit harder (it’s translated), but once one person understands the game, you can easily play this with a novice gamer (as long as they don’t mind losing). The game seems impossibly hard until you grasp the importance of tao tokens; after that, it’s merely hard. I would encourage anyone who thinks they might be interested in cooperative board games to give Ghost Stories a try. Puzzle Strike is a deckbuilding game with a focus on volleying “gems” (basically negative points) back and forth between players. Each player chooses a character with a different initial deck and plays their chips (cards) in various combinations to buy new chips from a common supply, manage their decks, and send gems to opponents. The theme is, if anything, even lighter than Dominion’s, with next-to-no artwork and many chips given obviously meta-game names (there’s a chip similar to Market called “One of Each”, and a chip similar to Witch called “Really Annoying”). Many have said that that this game is about “attacking” other players rather than building up points, but I don’t think that describes the difference very well; the gem piles are effectively points, it’s just that you gain points by playing cards instead of by buying cards. So it’s kind of like playing Dominion: Prosperity with cards like Monument and Bishop and without the standard green cards. In a multiplayer game, you do also get to choose which opponent to send negative points to, but it’s hard to see how that adds anything other than a kingmaking issue. Puzzle Strike makes it much harder to build an “engine” than Dominion does, with +action effects being very expensive; this might have been fine, except that many characters have around 3 terminal actions in their starting deck (which is 2 hands big). With +actions heavily limited and a starting deck already overburdened with (untrashable) terminal actions, your viable purchase options seem to be very limited a lot of the time. Tragically, Puzzle Strike failed to follow Dominion’s example in limiting the cumulative effects of attack cards. One chip forces each opponent to discard 2 chips from their hands (not “down to 3” like Dominion’s Militia) and then lets you play another attack action (not any other kind of action, ONLY another attack). Lots of turns that game where my opponent played 3 of these in a row (no other chips required) and made me discard my whole hand. I also personally found several mechanics to be just…distasteful. Players with more gems (i.e. negative points) in their pile get to draw bigger hands, so you can intentionally let your gems build up to make bigger plays, but I felt that strategy was unsatisfying no matter which end of it I was on. Certain characters are intentionally designed to have advantages over specific other characters, leading to lop-sided match-ups. The type-limited +actions and negative money seemed annoying to track without adding much depth. Maybe these things only bother me? I’m not sure. And Puzzle Strike’s rules definitely lack Dominion’s rigor. Reading the rulebook revealed important nuances of some chips that I could not have guessed simply from reading the chips themselves. Overall, Puzzle Strike has some modest differences from Dominion, but it doesn’t feel all that different, and it lacks much of Dominion’s polish. If you’re a major deckbuilding fan, I could perhaps see playing this occasionally just for variety, but I would have a hard time justifying purchasing this over another Dominion expansion. In Fury of Dracula, one player is Dracula and tries to spread his influence across Europe, while the rest of the players control 4 characters from Bram Stoker’s novel trying to locate and slay him (always 4 hunters, regardless of the number of players), each with different special abilities. Dracula uses hidden cards and markers to track his movements and lay traps for the hunters; the hunters strategically search the map for clues and supplies. When they meet, they engage in combat using a combination of simultaneous tactical choices and dice rolls, with Dracula having a lot more options at night. Both sides must manage their resources carefully. The game is much longer than I expected, with my plays typically clocking 4-5 hours. The hidden movement is reminiscent of Scotland Yard, but Dracula’s trail of clues feels more tense and elegant than SY’s timed reveals. Map control and mind games make a great difference in the chase, and both sides have enough special moves to keep things interesting, with cards that can give an extra move, block off a location, and more. This is the game’s strongest point, in my opinion. The combat system is a bit clunky. It’s got some depth to it, but the cards do a poor job of communicating this; it wasn’t until I downloaded and printed a fan-made table of combat results that I started to see what each of the tactics was really good for. There’s also a lot of luck involved; a single die roll is sometimes the difference between Dracula losing a third of his maximum health or gaining a third of the victory points he needs to win the game. Players often talk a lot about the Evasion card, which lets Dracula teleport anywhere on the map, effectively erasing the hunters’ progress towards locating him. That’s a potent effect, but it needs to be seen in context: there’s also two Hypnosis cards that the hunters can save and play when they choose for a 2/3 chance to reveal Dracula’s exact location, his next move, and the locations of all his young vampires. Both sides also have cards that can be played to cancel an opponent’s card, and Dracula only gets events when the hunters choose to draw. The events can cause dramatic swings for either side, but there are ways to prepare for and mitigate them once you’ve learned the game. Overall, Fury of Dracula is a solid game. The different game systems don’t seem to work together as well as they could, but they all do their jobs reasonably well. There’s a high luck dependence, but that decreases somewhat as you learn the cards and how to counter them. A strong theme is evident throughout. The long play time means I don’t play this often, but I have fun when I do. Thunderstone is a deck-building game in which each player forms a party of heroes and slays monsters to earn victory points, competing with the other players to have the most points by the time the Thunderstone is discovered. I must preface this review by saying that the rulebook was a colossal train wreck. I read the rulebook thoroughly, and I still had many major unanswered rules questions before even sitting down to play. Apparently I wasn’t alone, because the rulebook was massively rewritten several times in the weeks after the game’s release. As of version 1.3, they’d added several entirely new steps to the sequence of play, errata’d several individual cards (meaning you couldn’t rely on the printed text while playing), and I still found several glaring flaws and inconsistencies on a cursory reading of the new-new-new rulebook. I stopped reading their edits after that. Admittedly, I’m kind of a stickler for clear rules. But I’m also quite good at memorizing (and inventing) new rules, so if there was a solid game underneath this morass of incompetent editing, I would be playing my heart out even if I had to rewrite the entire rulebook myself. But I can’t seem to find any reason to. The cards read like someone’s initial brainstorming list of cool stuff to try to work into the game. Cards with equal prices can vary wildly in power. Many cards are only useful at all due to some hyper-specific interaction with another card that you may or may not have included during set-up. But the frightening part is actually how little that matters, since the game gives you so much money that you barely even notice costs past turn 2. Imagine playing a version of Dominion where you could plausibly buy Gold on both of your first two turns. Even the victory cards (monsters) give you copious amounts of money! Your average cash-per-turn starts at 5, so when you see a weak card that costs 2 and a strictly-better card that costs 4…it just looks like a bad joke. Then they include only a single (very weak) card that even gives you the option of splitting your money between multiple buys, and it’s one of the random cards (not available every game). The combat portion of the game has the opposite problem. Building a deck with high attack power is not trivial–unfortunately, monsters are basically all equally hard, so it’s not helpful, either! Since players that are capable of killing something are generally capable of killing pretty much everything, the front two dungeon slots get filled with ****** monsters no one wants to kill, and then you spend most of your time fighting whatever new monster was just drawn after the player to your right killed the previous best option. This means that whether you get a lot of points or few points has little to do with the efficiency of your deck; it’s basically just luck of the monster draw. I had several games end with the comment “sorry; you clearly had the best deck, you just got unlucky monster draws”. Sure, there are a few monsters that are genuinely hard to beat, but mostly through gimmicks like “magic immune”, which means that beating them is a matter of memorizing all the monsters so you know in advance what trick to prepare for in a given monster set. And even in the rare event that a great monster shows up and the player to your right can’t kill it, he can still fight it and deliberately lose to discard it and prevent you from getting it (and that may well be a bigger point swing for him than killing a weak monster instead). I want to emphasize that I wanted, and expected, to like this game. “A more complex version of Dominion with a dungeon crawl theme? What could go wrong!” I thought to myself. Two weeks later, Thunderstone earned the distinction of being the first (and so far only) board game I’ve ever sold. So in summary: the economic system doesn’t work, the combat system doesn’t work, the rules were blatantly unfinished at release, and winning is mostly luck. As a strategy game, Thunderstone is an unmitigated disaster. I guess you could play it as an experiential game purely for the art and theme. That’s not my cup of tea, personally. But even if that’s what you’re looking for, surely there’s a game that provides it with less number-crunching and errata than Thunderstone? In Kingdom Builder, players place settlements on a map, claim special abilities to enhance their placement options, and compete to score the most points according to scoring rules that are different each game. The key tactical consideration is that your placements must be adjacent when possible, but when not possible (under other constraints), you can place anywhere. Thus, touching lots of options is better than touching few, but touching none at all is best. This sometimes promotes interesting tactics, but I find it counter-intuitive and frustrating. I specifically remarked upon it when someone was teaching me, and yet still managed to horribly trap myself for much of that first game. There’s strategy invoked by this rule, but also a very great deal of luck, and an early disadvantage tends to compound. The randomized combination of scoring rules is an elegant and thought-provoking design, and by all rights should mark this game for excellence, but the details just seem to fall flat. For example, several rules award points for particular terrain features, but in practice players seem to pick these up incidentally without materially altering their plans. One awards points to the player with the most settlements in a sector, which slowed the game down as players kept counting to try to keep track of who was leading and by how much, and then the player who went last got most of the points anyway because he was able to rearrange his settlements to have exactly 1 more than rivals in several areas. There have been brief moments when I thought I saw something more shine through, but they’ve been disappointingly rare. Perhaps I’ve gotten unlucky so far. I feel like this game stands close to greatness, yet separated behind iron bars. I’d willingly play it from time to time, but do not think I would ever request to play it. Descent pits a team of heroes against a monster-filled dungeon run by an evil overlord. Heroes collect items, manage their inventory, and draw upon an impressive variety of unique abilities. The overlord manages a “threat” pool to spawn monsters, activate traps, and generally hinder the heroes. Both sides engage in nuanced, tactical combat. Games are lengthy (typically 4-6 hours for me). Despite appearances, this isn’t a traditional RPG. The overlord is an opponent, not a referee. The heroes are under constant time pressure, even when no monsters are visible, so the game is a sort of race. Both sides are expected to exploit all the strategies available to them, even if they are sometimes counter-intuitive. Expect a tactical miniatures game, not a storytelling game. Some players are also disappointed to discover that every game starts from scratch with a new set of heroes, rather than carrying over loot and experience. I actually quite enjoy it, as it allows me to experience a lot of character growth in each individual game, and makes it easy to play quests out of order or with different players each time. The basic rules are much easier to grasp than I expected, and the detailed rules (such as monster abilities) can generally be learned as they come up, making Descent remarkably easy to teach. However, there are a multitude of special cases with unclear or counter-intuitive rules that will crop up from time to time, and the game has been errata’d extensively. Download the FAQ, and be prepared to discover you did some subtle-but-important things wrong your first game. In summary, Descent is a deep tactical combat game with an impressive breadth of content, but it’s a bit kludgy, and it won’t necessarily scratch your RPG itch. One reason for keeping the ruins and knights piles face-down (except for the top card) is that many Dominion players will pick up an unfamiliar card from the supply so that they can read it and see what it does, and they could accidentally expose the next card when doing so if it were face-up. If everyone playing knows what the 10 knight cards are or the table is arranged so that all players can read these cards easily without touching them, then I could see how face-up piles might be more convenient. But if you’re playing in a group where players might take advantage of seeing the cards underneath, keeping them face-down is a precaution for those groups to take. The blue card backs reveal when Dracula goes to see–and if the hunters had even the vaguest notion of where you were before that, they probably know which sea you’re in (or can narrow it down very quickly). And the sea zones are mostly linear, which means in many cases they’ll know where you are every turn you’re at sea. You can sow a lot more uncertainty if you visit the Atlantic Ocean, and then go exactly one more sea move before landfall. The Atlantic is connected to four different ocean spaces, so even if they know where you came from, that still leaves three sea zones you could be in–a much larger area to search to pick up your trail (and inconveniently spread-out). You need to land immediately after that, though, or you eliminate a lot of options again. When a card falls off of Dracula’s trail, he has the option to add it to his catacombs. This keeps any encounter on that location in play, so that it can still harm a hunter who blunders into it later. In my experience, things rarely work out that way. The encounter will often be gone by the time it falls off your track, and even if it isn’t the hunters likely know the card’s location, which means they won’t trip it accidentally–plus, a face-up location card in your catacombs means that the hunters can be sure you haven’t visited that location again. This may discourage you from moving cards into your catacombs. However, there’s another important reason to use your catacombs, which is that you get to “fortify” the location with an extra encounter when you move it there. Even if the hunters are never going to trip that encounter, this can be used to cycle encounters out of your hand, giving you more chances to draw the ones you want. If you move most of your locations to the catacombs when they fall off your trail, you can draw new encounters at nearly twice the normal rate–and if you don’t want the card there, you can always remove it at the start of your next turn. Outbreaks can place disease cubes in a city whose infection card has never yet been drawn. This may seem like it’s not a concern, since the city only has one cube, and isn’t likely to be drawn during the infection phase. However, if the color of the cube matches the color of the city, this is still a potential danger: epidemics cause you to draw an infection card from the bottom of the deck (i.e. one that’s never been drawn before in the current game) and immediately place three cubes in that city. Just one stray cube could push that 3 up to a 4, setting off an instant and unpreventable outbreak! In campaign mode, in addition to giving you useful items, search cards also give you extra gold to spend between quests. That extra gold transforms into permanent items that you can use for the remainder of the campaign, and can potentially be worth more than the reward you get for actually winning the quest. Furthermore, if the starting gold recommended in the “epic play” rules is any indication, the game is balanced on the assumption that the heroes will collect nearly all of the search tokens. The game claims to support parties of anywhere from 2 to 4 heroes, and has rules for adjusting monsters’ stats and the amount of threat tokens the overlord collects based on the number. These adjustments do not compensate for the difference. Larger parties can make more attacks, have more freedom to optimize their equipment by trading treasure draws, and can cover lines-of-sight more effectively to curb spawning. The difference is dramatic. Expect a significantly easier time the more heroes you bring (or a harder time, if you’re the overlord). Most players I’ve seen recommend parties of 3 or 4 heroes for the base game quests, and 4 heroes for expansions. If you don’t have enough players, you can always have someone control two heroes. Look in the haunt table and identify the places where your chosen haunt’s number is listed. Usually they’re all grouped in the same column (under a single omen). If this is the case, it’s a good bet that the haunt relates to that omen, but not to the specific starting room. Whenever you explore an omen room, make a haunt roll before drawing an omen card (but include the omen you’re about to draw in the number you’re comparing against). If the haunt doesn’t begin, draw an omen from the deck. If the haunt does begin, instead, take the omen card you set aside during set-up, resolve its immediate effects (if any), and then begin the chosen haunt (determining the traitor as normal). Since you can’t control what terrain cards you’ll draw, you should aim to make as many of them as possible useful to you. If you can avoid touching a particular terrain, that’s usually best–it gives you maximum options if you draw that terrain. But you’re going to end up touching everything, and probably sooner rather than later. Once you’re touching a terrain, look for places that you would want to build if you drew that terrain. If you can’t find any, look for a way to touch a new patch of that terrain that you would like to build on. It may not be what you’re hoping to draw, but if you draw it anyway, you’ll be glad you have something at least semi-useful to do with it. Touching a large patch of terrain you don’t want to build in–and no other terrain of that type–risks disaster if you start to draw that terrain a lot. Get yourself a better option as soon as you can. When a card or ability lets you place or move a settlement, and you have no existing settlements adjacent to the terrain or region you’re required to place in, you can ignore adjacency for that placement. Don’t squander this opportunity! Place the settlement far away, close to some useful location that would be very difficult for you to ever reach using adjacent placement. This will allow you to expand outward from several different starting points, rather than just the one, expanding the range of useful locations you can try to build towards. More potential targets means a greater chance of finding something useful to do with whatever cards you happen to draw. Each board offers a unique ability. Most boards have two locations that offer that ability, but some only have one. One person I played with said those abilities were more limited because they were more powerful. I’m not sure that was the intent, but even if they’re not inherently better, they’re going to run out faster simply because there are fewer available. Therefore (all else being equal) it’s easier to claim a wider variety of abilities if you start with one of these–and a wider variety means more options, which means a better chance of being able to do something useful with whatever cards you happen to draw. Don’t trust the turn sequence in this game; especially in a large game, Dr. Lucky’s movement can cause the turn order to jump around erratically. If you’re not careful, it may be a very long time before you get another turn! All else being equal, try to end your turn in a numbered room. That way, you’ll at least get a turn when Dr. Lucky arrives in that room (well, almost always). Think of it as a safety mechanism, to make sure the game doesn’t pass you by. If there are two ways to accomplish something, and one of them involves using the Vanir, that is generally the wrong way. The Vanir are flexible, but expensive. It’s tempting to say that the Vanaheim track is “for emergencies”, but the problem is that you need to invest in it before the emergency occurs if you want to use it like that, and in most cases I think you could have spent those actions to prevent the same emergency you are using it to solve, with actions leftover. There are some specialized tactics where it is actually more efficient than other options, but basically it’s just something to use when you have a spare action and nothing else productive you can do with it. 2 Actions to Move Valkyries: The standard action in Midgard lets you do that and more for 1 action, so this isn’t even worth considering unless you’re bumping up against the once-per-turn limit. Even then, it’s very expensive; I don’t think this can ever be more efficient in the long-run, so it would have to be some sort of emergency. 3 Actions to Take 2 Vikings from the World of the Dead: That’s an average of 0.67 vikings per action. With good bag management, you should easily average twice that using standard actions. It’s even less efficient than substituting an elf for a viking (they’re strictly better and cost 1 action each), or forging a weapon that you’re only ever going to use once (as long as you don’t block another player by doing so), or even (in most cases) spending an action to trade with another player for whatever you currently need. So you need several different things to all go wrong at once before this has any possible utility. 4 Actions to Rearrange Top 6 Enemy Cards: This is kind of like trading Frey’s ability (extra actions) for Odin’s (rearrange cards). But Frey’s ability is far stronger than Odin’s, and this actually isn’t nearly as good as Odin’s ability, because you can’t put cards on the bottom of the deck. I have difficulty even imagining a situation where this would be worth it. 5 Actions to Move an Enemy Back Once: If you’re playing well, pushing an enemy backwards should typically take about half that, though there are some rare situations where it will take more than 5 even with good bag management (mostly if you’re using my “Baiting the Snake” strategy). There are also situations where the once-per-turn limit will prevent you from fighting enemies as often as you want, in which case you can use this to (expensively) get around that limit (investing only the actions you can’t usefully spend on anything else, as previously noted). It’s tempting to keep this “charged up” for emergencies, but again, unless there’s a strategic reason to deliberately create that emergency (e.g. “Baiting the Snake”), you’re probably better off spending those 5 actions to prevent the emergency in the first place. 6 Actions to Kill Any Face-Down Frost Giant: I think this one is actually useful, but only in very limited circumstances. This is significantly more expensive than killing a frost giant normally, but it lets you pick whichever one you want, so if you have 3 out of 4 pieces of a rune, this will let you complete that specific rune more efficiently than searching randomly for the last piece. But if you have to use it twice for a single rune, you’re spending more actions than the rune is worth, and if you opt for a strategy of killing ALL frost giants and completing ALL runes, then you’re better off doing it through regular combat. For your first game, you may be better off simply removing Vanaheim so you’re not tempted to overspend on it. Many players focus on cleaning one one bag of vikings close to the rainbow island, so you can cycle vikings in and out of that bag easily. That’s an important strategy, but you should also make one trip all the way out to the black bag at some point, to take advantage of the fact that it starts out with a lot of vikings in it. It might seem like you can’t beat a bag that’s 100% vikings, but you need to keep spending actions to refill the bag. Since it costs an action to put 5 in and another to take 3 out, you’re averaging 1.875 vikings per action (assuming no interference from Hel or Surt). The black bag starts out with 15 vikings and 3 fire giants, which means your first action there will get you an average of 2.5 vikings. You only need 62.5% vikings to draw an average of 1.875, the same as cycling vikings through an empty bag, so it continues to be better until it drops to 5 vikings/3 fire giants or 6 vikings/4 fire giants. You probably won’t be there long before Jormungand pushes you back, and you don’t need to hit those numbers exactly, but this can provide a useful one-time boost to your viking collection (especially in the early game, when you haven’t finished cleaning a bag yet). Once you’ve got the low-hanging fruit, don’t try to clean the black bag, just go back to focusing on white. As a side bonus, this puts more vikings into circulation (rather than leaving them trapped in a bag you aren’t using), which simplifies logistics and reduces the odds that you’ll complete the Sigel rune without having 15 vikings available in the world of the dead. When you defeat a general, only one player gets the corresponding “slayer” title, but everyone who helped draws 3 hero cards. Even if you don’t have many dice to contribute to the fight and there’s little risk of your allies failing without you, it may be worth going a bit out of your way just to participate and get the extra cards; depending on how far out of your way it is, it may be more efficient than rumors at the inn, and more dice in the general fight always improves your odds. However, you should not necessarily expect your allies to wait for you–if the general moves before you strike, you’ll need to spend a whole extra round gathering at his new location. If you’re just joining for the cards, arrive early. Note that (according to the FAQ) you need to contribute at least 1 die to the fight to count as “participating” (though that die doesn’t necessarily need to come from a hero card). A review or tip can be helpful even if you disagree with the conclusion, or unhelpful even if you agree. If you read a review that says a game is great “in spite of its bland theme”, and you decide to avoid it because theme is really important to you, then that review helped you, even though you didn’t agree with it. A review that only says “this game is awesome” is not going to help someone decide whether they’ll like it, even if you agree that the game truly IS awesome (though short reviews are not necessarily bad, IF they provide useful information). Reviews and tips should highlight the unique aspects of the game, not just traits that are common to a broad class of games. “Work together with your allies” applies to all team games. “Appropriate mood music enhances the experience” applies to pretty much all games. “You can make the game shorter or longer by changing the number of victory points required to win” works on virtually any game whose goal is to reach a fixed number of points. These may be helpful for someone playing their first-ever board game, but probably not to people visiting a site specifically dedicated to board games. Don’t vote “no” just because you’ve seen a strategy before, but do vote “no” if it’s something that even a newbie could reasonably be expected to know. If someone posted a tip for Checkers saying “try to capture enemy pieces”, that may be sound advice, but it’s not helpful advice. Does a strategy or house rule do what the tip claims? You might not think a particular strategy or house rule is fun to use, but if the tip clearly explains what it’s for, and it accomplishes that goal, then it’s probably still “helpful” – at minimum, it tells you something to watch out for. House rules, in particular, aren’t there to make people play “right” – they’re there to help people choose how they’d prefer to play. Of course, if it doesn’t work as advertised, or the tip doesn’t explain why you would want to use it, then the tip is probably not helpful, even if you can think of a reason to use it. If you don’t know whether it works, maybe you should hold off on grading it until you’ve tried it out – the tip isn’t going anywhere. You may be tempted to focus your submissions on a few of your favorite games, thinking that you can write the best tips and reviews for the games that you know the best. That’s true, but statistically, most people’s favorite games are also popular games, which means a lot of other people may have written reviews and tips before you. That can make it difficult to cover new ground. If you still find that you have something you want to add, by all means, do so! But if you feel like your points have already been made, look up some of the less-popular games that you’ve played. There are still a lot of games (and expansions!) on this site with little or no user content posted. Maybe you don’t know that game as well as your favorite, but if you really reflect on your experience, you’ll probably think of something that would be useful for players exploring the game for the first time; it could be as simple as the most important mechanic for new players to focus on, or a subtle implication of one of the rules that took you by surprise your first game. You don’t necessarily need a brilliant insight – the fundamentals are just as important as advanced and nuanced strategies (and they tend to get more likes! ), so if no one else has covered them, then you don’t need to be a master to be helpful. Being listed in the “Recent Player Reviews” or “Recent Game Tips” boxes on the main page can get a lot of people to read and grade your review or tip who otherwise might not notice it. If you post many reviews or many tips in rapid succession, you push your earlier ones out of the “recent” lists faster, resulting in less exposure. You may also give readers the impression that you are spamming, which can cause them to grade you more harshly. Spreading out your reviews or tips across several days or weeks gives each of them more time on the front page and makes you appear more thoughtful (and it may even make you more thoughtful, since you’ll have more time to think about something before you finally post it). The rulebook doesn’t seem to mention this, but the designer has said elsewhere that the game was balanced for 4 heroes, and that playing with less than that is a challenge. Smaller groups have more trouble covering the board and can’t hoard as many hero cards for the big general fights. When you get below 3 heroes, you’re going to have a hard time even holding enough cards to reliably kill a single general, due to the per-hero hand limit. If you have fewer than 4 players, consider having some play multiple heroes, especially if you don’t have much experience with the game. Many of the quests in this game give fairly pitiful rewards. If you compare the actions needed to complete a quest to the actions needed to accomplish a similar effect using your basic actions, you’ll find that many quests are actually worse than regular actions unless you happen to be visiting the quest’s location anyway. But a few quests give incredibly powerful rewards. A unicorn that lets you move 2 spaces for one action and improves all your combat rolls; boots that give you 2 extra actions on every single turn. A lot of the time, your main incentive for completing a quest is actually the ability to draw another quest, because that means one more chance to draw one of the quests that are actually good. This has important repercussions for deciding when and whether to complete a quest. Completing quests is often more desirable in the early game (when you’ll have more time to complete the new quest and exploit an ongoing reward), and the speed of completion is often more important than the usefulness of the printed reward (unless the reward is one of the awesome ones). If the quest tells you to discard it after a single failed attempt, that’s often a good thing, since it makes it easier to rid yourself of that quest and draw a new one. So, for those teaching the game, this is a good thing to make sure you cover carefully. When you’re saving up to sell a big set of matching tiles, it can be very helpful to know how many are left to be drawn. If you’re nearing the end of the bag and you know there are more matching tiles in there, you can try to get them before you cash in, leveraging the quadratic price increase. On the other hand, if there are none left to draw, then you’re wasting your time (and storage space) trying to find more. 1. Varkolak’s general ability prevents the use of the quest reward from “Amulet of the Gods” (+1 to dice rolls), but does NOT prevent the rewards from “Find Magic Gate” (+2 dice), “War Banner of Valor” (ignore effects of losing), or “Amorak’s Blessing” (cancel general’s ability). 3. The Cleric’s “Turn Undead” ability is optional. 4. The Cleric’s “Sanctify Land” ability rolls only 1 die per action. 5. The Eagle Rider’s “Ground Attack” style can only be used to reroll ALL dice in an attack or NONE of them, not just some of them. 6. The Ranger’s “Archery” ability attacks all minions in one adjacent location, not in all adjacent locations. 7. The Sorceress’ “Ambush” ability grants a bonus on the first attack made during a turn AND the first attack after each movement (e.g. you can ambush minions in your current location, move somewhere else, ambush again, move back to your original location, and ambush again, all in a single turn). 8. If you run out of minion tokens, you can take the minion on the Sorceress’ character card representing her shifted shape, BUT she suffers 1 wound if you do so. 9. If the Sorceress is forced to return to Monarch City as a result of losing a battle against a general, she automatically shifts back into human form. 10. The Wizard’s “Fireball” ability can be used by discarding a card matching the color of any minion you are fighting, and works against all minions you are fighting. 11. The Wizard’s “Teleport” ability can be used to go to any location on the map, even locations that aren’t reachable by actual magic gate travel (such as inns, or Monarch City when there is no gate built there). 13. The purple hero card “Magic Gate” cannot be used to place a gate at an inn. 14. When performing two consecutive “Rumors at the Inn” actions, you may change your called color between the two actions if you wish. 15. Minions defeated by the “Battle Fury” purple card count towards quest requirements. Minions defeated by other purple cards do not. 16. Wounds for “ending your turn” in a space with minions actually occur at the end of the daytime phase, before drawing cards. 17. Participating in an attack on a general is optional. A hero is considered to participate if they contribute 1 or more dice (whether from hero cards or otherwise). 18. Balazarg’s general ability corrupts all cards used against him, not just red cards as the rulebook says. 19. Balazarg’s general ability requires you to roll separate for each card you are using and discard that card if a 1 is rolled, not just “a card”. 20. Gorgutt’s general ability “parries” an attack for each natural 1 rolled (that is, for each physical die that shows a 1, before applying any bonuses or penalties from abilites). 21. If a general has multiple red wound boxes, they heal at the slower rate (one per round, rather than one per turn) as long as their health is in a red box, not just for the first wound. 22. Consistent with the text on the “slayer” cards, but not the rulebook, a hero with a “slayer” ability can spend a single action to defeat all minions of that color in his location AND perform a normal attack against other colors of minions in the same location. 24. If the active hero is wounded as a result of losing a battle against a general, wounds are taken first from that hero’s unspent life tokens for the current round, meaning his number of remaining actions will also be reduced. 25. At the end of the Evening Phase, all players must discard down to 10 cards in their hands, not just the active player (this can come up due to the extra cards drawn when defeating a general). 26. Minions are never placed on an inn location, even if an adjacent area has an overrun. 27. When adding 2 minions at once to a single location, a maximum of one taint and one overrun can occur in that location (even for demons). 28. When a darkness spreads card calls for 1 Orc to be placed in each “empty” location, a location with heroes or generals is still considered “empty”, but a location with ANY kind of minion is not. 29. However, when a darkness spreads card calls for 1 Orc to be placed in each location with “1 Orc and only 1 Orc”, that affects all locations that have exactly 1 Orc, regardless of the presence of other minions. 30. The purple card “Battle Luck” allow the “active player” to reroll his combat dice. When fighting a general, the “active player” is considered to be whichever player is currently rolling, not necessarily the player who is taking his turn. The Eagle Rider has the lowest base number of actions, but he can move up to 4 spaces with a single action, and he gains an extra action if he ended his previous turn on the ground in a blue location or in Monarch City. It turns out Monarch City is within 4 steps of everywhere. That means an Eagle Rider currently in Monarch City can go literally anywhere on the entire board for 1 action. I found it highly effective to have him use “ground” tactics and end each turn on Monarch City (until he was needed to fight generals). Go anywhere on the entire board, every turn, to complete quests or perform surgical strikes against monster hotspots that other heroes can’t easily reach. With the reroll from ground tactics, you will usually only need one attack to defuse a potential overrun, so you can hit two spaces per turn (as long as the 2 spaces aren’t on opposite ends of the board) and always get back to Monarch City with your extra action for ending your previous turn there. It’s a simple but effective formula. I hear many people say that when other players start buying victory cards, you have to do the same. I think this is a misconception, perpetuated by players who wait too long and only realize it when their opponents get the jump on them. If your original plan was sound, an opponent buying a Province shouldn’t ordinarily cause you to change it. Basically, you should be taking the shortest path that gives you “enough” victory points to win (typically one more than your fair share of Provinces). The “shortest path” does not change just because the other guy buys an early Province, and if you are already on the shortest path, any change to your plans will only slow you down. Put another way, falling behind in points may be bad, but panicking and ruining your economy is worse. If your opponent is making a mistake by greening too early, you should capitalize on that error, not duplicate it. If your opponent is greening before you because he’s ahead of you (or perhaps just using a different strategy), trying to match him but running out of steam before you have enough points is just going to guarantee his win. And if your deck is good enough to get enough points, you should start buying them whether your opponents have started or not. So buy green cards when it’s right for you–not when it’s right for your opponent. Most games are won with Provinces. A Province costs $8, which means that with a 5-card hand, you need your average card to provide at least $1.6 in order to afford a Province that turn. Thus, as a rule of thumb, gaining a Silver is generally better than gaining nothing (it will push your average value towards $2/card, which is above the magic threshold), while any card noticeably weaker than Silver (in particular, Copper) is likely a card you’d rather not have in your deck. Buying Silver when you don’t want anything else is generally safe. There are also several cards that lend themselves to quickly amassing a large deck full of Silver (e.g. Bureaucrat), and this is an effective strategy in some games. 1) If your opponents are regularly playing Militia (or similar cards), leaving you with only 3 cards in your hand, you need to average $2.67/card for a Province. 2) In a game with Colonies (from the Prosperity expansion), you’re probably targeting $11 instead of $8, which moves the threshold to $2.2/card–just a hair above a Silver. 3) Some strategies depend on drawing a specific card (or combination of cards) more than on having a certain amount of money. In these situations, a Silver may become worse than nothing before the end of the game. You will probably still need a few to get your economy going at the beginning, but judge carefully when to stop, and avoid cards like Bureaucrat that will continue gaining Silvers forever. In most cases, the most efficient way to conduct combats is to spend enough vikings that you will succeed on a die roll of 1, and keep an elf in reserve so that you can still win if you happen to roll a 0. However, because Tyr gets to roll a combat die twice, the probability distribution is different for him. For Tyr, it’s usually most efficient to have two elves in reserve (and spend one less viking per combat). This allows him to benefit from his increased probability of a lucky roll while still guaranteeing a win. In the ideal case, you have a bag with no fire giants, so you can reliably spend 3 actions to put in 15 vikings and 5 actions to claim them all, for an average cost of 8/15 = 0.53 actions per viking. Claiming an elf always costs 1 action. The die has 1 side with 3 hammers, 1 side with 2 hammers, 2 sides with 1 hammer, and 2 sides with 0 hammers. If you spend enough vikings to win on a roll of 1 and use an elf when you roll a 0, there’s a 1/3 chance you’ll spend the elf, so you’re spending an average of 0.33 actions to replenish your tokens versus at least 0.53 with vikings. If you spend one less viking and risk a second elf, the second elf will be used up if you roll either a 0 or a 1, so it has a 2/3 chance of being used up and will often (though not always) be less efficient than the viking you could have spent instead. But Tyr rolls twice and selects the better result, so he has a 1/9 chance of his best roll being a 0, and a 3/9 chance of his best roll being a 1. Therefore, his first elf only needs to be spent 1/9 of the time, and his second elf 4/9 of the time, which is still lower than the best-case viking cost. Attacking a face-down frost giant nets you one piece of a rune, but that’s worthless unless you actually complete that rune. The runes come up in random order, so there’s little chance of getting a specific one you want. If you choose to attack haphazardly, you can end up with a bunch of incomplete runes at the end of the game. So there are two main strategies here: either plan to kill ALL the frost giants and complete ALL the runes, or only fight face-up frost giants (and use the Vanir to find the last piece of a rune if you luck out and happen to get 3 out of 4 pieces). If you try to go a middle road, you’re probably just wasting resources. When evaluating which cards to take, it’s important to take opportunity costs into account. Every card “costs” a card draw when it enters your hand; that is, if you had never bought that card, then you would have drawn one of your other cards instead. I find it’s helpful to imagine that every card says “-1 card” on it. In these terms, it’s easy to see why a Gold is better than a Copper and a Silver: either gives +$3, but the Copper+Silver combo gives -2 cards, while the Gold only gives -1 card. It’s also easy to see why some cards that appear to have only positive effects can actually hurt your deck: that simply means their benefits don’t outweigh the inherent -1 card penalty. Similarly, I imagine action cards as all saying “-1 action” on them (in addition to the -1 card). When a card says “+1 Card”, that doesn’t mean it gives you “extra” cards, it just means that it doesn’t reduce your cards like normal. Playing a “+1 Card” card leaves you with the same number of cards in your hand as you started with. When an action card says “+1 Action”, that just means it doesn’t reduce your actions; you will still only be able to play a single “terminal” action on your turn. When viewed in this way, it’s easy to see that Village really gives you “a free action” (that is, it’s net effect is simply +1 action, once you subtract the opportunity cost). Laboratory gives you “a free card”, and Market gives you “a free $1 and buy”. (Though beware of drawing these cards when you don’t have an action to play them). Remodel trashes a card from your hand and gives you a card costing up to $2 more. So, it basically adds $2 to the cost of one card in your deck. Taken at face value, that sounds like a way to gradually improve your cards. But playing a Silver adds $2 to the cost of one card, too–the one you buy that turn. Remodel costs more, requires an action to play, and removes a card from your hand that you could otherwise have played that turn. Described in those terms, it sounds terrible to the point of comedy. But it’s actually quite a respectable card, once you realize that +$2 is incidental to its real purpose: virtually the entire value of Remodel comes from exploiting a mismatch between a card’s cost and that card’s value (in the sense of utility). Victory cards are very bad in the early game–if you look only at the economic value of an Estate, it should probably be worth around -3 (since it generates $1 less than a Copper). But it costs 2, so if you Remodel it you get a card worth up to $4, instead of a card worth, say, $-1. The cost only went up by $2, but the value went up by more like $6 or $7! Conversely, victory cards become very valuable near the end of the game, and Remodeling your Silver or Gold into Duchies or Provinces (respectively) can earn you a lot more points than if that Remodel had only given you +$2…depending on what else is in your hand, of course. Deck-thinning cards drop in value once you’ve finished trashing your unwanted cards, sometimes making them candidates for Remodeling. Some expansion cards (particularly in Hinterlands) have high prices because they do special things when you gain them, rather than because of their value once they’re in your deck–they’re great cards to Remodel, too. But if you’re Remodeling a card that’s still useful to you (relative to its cost), Remodel is effectively just a Silver with -1 Card and -1 Action that turn. In the early game, you probably shouldn’t aim to Remodel anything except Estates and maybe Curses. Even Remodeling a Copper is usually a consolation prize at best, and can actually hurt you in a lot of cases. Infection cards are only reshuffled when you draw an epidemic, and you know how many epidemics there are (depending on the difficulty). If there are still lots of epidemics left, remember you’ll likely need to return to any problem spots you’re dealing with right now, so hoard cards or place research stations accordingly, and focus more on urgent risks than completely cleaning up an area. But once there are only 3 epidemics left in the deck, then any infection card in the discard pile can only be played a maximum of 3 more times during the game. That’s a great time to treat the city down to zero disease cubes (if you can), so that you won’t ever need to return (as long as there are no outbreaks nearby). Especially those pesky cities in the middle of nowhere! When you get lower than that, you can begin to safely leave a certain number of disease cubes in a city (again, as long as you control outbreaks nearby). No sense wasting an action to treat that last cube if there aren’t enough epidemics left for it to have any chance of outbreaking! Small World race selection often happens in “waves” as several players decline near the same time, whether due to running out of steam or simply needing a different power for the next phase of the game. If you pay attention to others’ development and decline a little on the early side, you’ll get first pick of races for the next “wave”. Since different races are more effective during different stages of the game, this will sometimes let you grab a combo that was passed over in the previous round of selections but that will work great in the present. The rules allow each hero to discard one of their random skills during set-up and draw a replacement skill of the same type. The skill cards in Descent vary a lot in their usefulness, so it is almost always worth redrawing one of your starting skills to try to get a better one. Typically, you’ll want to discard whichever skill is least useful to you, but you also need to pay attention to the skill types, because some types are more likely to be useful to certain heroes. Each skill deck contains some skills that only work with a particular attack type (Subterfuge being the worst offender), so if you’re a melee-focused hero and you draw a Subterfuge skill that is actually somewhat useful to you, you may want to hold onto it and redraw a Fighting skill rather than risk drawing a skill that only works with ranged attacks. When you step into a new area and see a bunch of monsters and a shiny treasure chest…opening the treasure chest is often the first thing you should do. One hero can usually run past all the monsters to open the chest on the same turn they open the door, and this allows all heroes to use the treasures from the new chest when fighting the monsters. I wouldn’t do this if you already have weapons of the same treasure level as the chest, but otherwise this can often make the fight significantly easier. Note that this gets harder if the “Hordes of the Things” power card is in play, as the overlord can often position the extra monsters to block you. In that case, it may help if you have Acrobat, Fly, Telekinesis, or Knockback. Dominion often gives a noticeable advantage to the player who goes first. In my regular group, when the ending condition is met, instead of ending after the current turn, we end immediately before the first player’s next turn. This allows everyone to take an equal number of turns during the game. The first player still usually has an advantage, since they get the first chance to play attacks and their choices are less likely to be constrained by empty supply piles, but at least this makes things a little more even. By the time you’re playing Prosperity, you’ve likely learned that trashing your bad cards to thin your deck can be really powerful. Since Bishop can trash cards, it might look suitable for that purpose. The problem is, Bishop allows everyone else to trash a card, too. Spending your resources to thin your deck may be good, but spending your resources to equally thin everyone’s decks is generally not so impressive. Bishop doesn’t give you any relative advantage in deck-thinning, and therefore usually should not be bought for that purpose. Instead, the purpose of Bishop is to generate victory point tokens. And notice that it’s better than Monument at generating points only if you’re trashing a card worth at least $2. This dramatically changes when and how you should use it. That +$4 on Baron is a lot higher than most cards, and might make you think you could build an economy around them. But you need to discard an Estate each time you want that +$4. Now, yes, if you were going to have the Estate in your hand in any case, that’s pretty awesome, because the Estate normally does nothing for you, so that Baron really is giving you $4. However, if you’re starting to contemplate intentionally gaining more Estates just so that you can discard them with Baron, then suddenly you’re “using” two cards to get that $4, instead of just one. Each Baron/Estate pair gives you only the same amount of money as two Silvers (and costs an action to play, and it only works if you draw them together). Getting an early Baron and using it on your starting Estates can be a handy way to jump-start your economy. But Baron is only a good card when you would have had that Estate anyway. The Schaef suggests playing Outpost and Tactician on the same turn. Another way to combine Outpost and Tactician is to play Tactician on the bonus turn granted by Outpost. This way you’re only giving up a “mini-turn” to play Tactician and double your next (full) turn, and you don’t even need any +action cards to pull it off. If it’s your first time playing, Moneylender may look like it gives you a lot of money on the current turn for a cost of less money later–after all, that’s what moneylenders give you in real life, right? But that +$3 needs to be discounted, because you trash a Copper from your hand that would otherwise give you $1 on the current turn; a Moneylender and a Copper actually gives you the same money that turn as if you had a Silver and a Copper. And Silver costs less, and doesn’t require an action to play. Trashing a Copper is actually the bonus that you pay for when you get a Moneylender instead of a Silver. The average card in your deck will usually be better than a Copper by around turn 4, which means that trashing Coppers improves the average hand you’ll draw from that point onward. Moneylenders are actually very useful, but for the reason opposite what a new player might guess. To a new player, the Feast card generally looks like a way to buy yourself a $5 card for the cost of $4 and a delay in when you get it. Viewed in this way, if often looks very attractive. But there’s a hidden cost. In order to turn your Feast into a card costing 5, you need to play the Feast–which costs an action. And before you play it, you need to get it into your hand–which costs a card draw (or more, if for some reason you can’t or don’t play it the very first time you draw it). So yes, buying a Feast is kind of like getting a free $1. But would you rather have +$1, or +1 Card and +1 Action? Buying a Feast is rarely worth it. When you’re unsure which of several fires you should put out, focus on cities that are connected to the most cities of the same color. These are usually the ones with the greatest risk of inducing chain-reactions when they outbreak. Cities of a different color will never get more cubes of that color except from adjacent outbreaks, and therefore cannot outbreak in that color unless things really get out of hand. But a city of the same color is at risk even if it has never had another cube the entire game, since the epidemics add 3 cubes at once to a brand new city. Especially if that’s the last cure you need to win the game, getting it even a single round earlier (one turn per player) can make a huge difference. 1) When you draw a card that moves the bloody battle marker, it’s the last thing that happens on that turn, so you get a little warning. After dealing with any imminent threats that turn, use your remaining actions to push the army that’s about to get the marker as far away as possible, to maximize the time before you need to fight it again. 2) Save an attack spell or two in case that army gets too close; you don’t lose defenders for magical attacks. If you’re careful, then most of the time the bloody battle marker will move on to some place else before you need to attack that army again. If you’re forced to charge into the bloody battle anyway, try to make lots of attacks against that army in a single turn; only the first attack each turn causes a casualty. When you draw an advance for the gate track, if the two armies are in the same space, they both advance, but if they’re in different spaces, only the rear one advances. Whenever the two armies are on the same space, make sure to immediately attack one of them to separate them; a single victory effectively halts both armies for another tick. Once you do, don’t attack the other army unless you think you can win a third fight that turn to separate them again. Once the armies are on different spaces, you can’t attack the rear one, but you can still target it with a Slow spell if you want to keep it back even longer. The oil, acid, and lava upgrades only help you when an army is in the “1” space. If you leave an army in the “2” space at the end of your turn, then it will often advance once and let you use that upgrade, but there are a few cards that will make an army advance twice, in which case it will destroy your upgrade and breach the wall. The solution? Count the double-advance cards. The day deck has 3 cards that advance the gate armies twice and 1 each for the east and west armies, while the night deck has 1 card each with double advances for gate, east, and west. Once the one card (or 3 for the gate during the day) have been drawn, then it’s safe to let that army come right up to your door again and again, allowing you to gain maximum benefit from an upgrade on that track. You may even want to wait until one of these cards is drawn before building the upgrades, so you know where best to put them. The Unearthly Swiftness event card allows Dracula to move twice in a turn. One obvious use is to flee the hunters, but since it adds 2 cards to your trail, you can also use it to push a New Vampire encounter off your trail and mature it one turn early. If that turn makes the difference between the hunters killing it or not, you just earned yourself 2 VPs! Jared’s tip is incorrect: trading someone enough cards to discover a cure does NOT allow you to bypass the hand limit, because you must discard down to 7 before discovering the cure. The rules state (emphasis added): “If the number of cards in hand ever exceeds 7 as a result of drawing cards (or performing the Share Knowledge action), the player must immediately discard cards in excess to the Player Discard Pile.” This is reiterated in the description for the Share Knowledge action itself. You will almost always need to discard some cards in order to hold enough matching cards to discover a cure, even if the discovery is going to be your very next action. Since two people have already written tips complaining about the Saboteur dominating their games, I think it’s worth pointing out that it’s actually a rather weak card, and there is no necessity to buy it even if your opponents are doing so. It can only ruin your game if you let it. Look at it this way: Saboteur forces each opponent to trash a card, and lets them replace it with a card that costs 2 less (or less). So it gives you a relative economic advantage of +2 coins; each other player loses 2 from the value of one card while you don’t. But you can get the same relative advantage simply by playing a Silver, allowing you to buy yourself a card that costs 2 more than would otherwise be possible that turn; if that card is hit by a Saboteur, it simply turns into the card you would have bought in the first place if YOU had played a Saboteur instead of a Silver. And Silver costs 2 less than Saboteur, and doesn’t require an action to play. Plus, players hit by a Saboteur can gain no card at all, at their option; for example, if you sabotage a Silver, they’re not forced to take a Copper. So you’re not even getting that full +2 relative advantage in all cases. Saboteur also lets your opponents cycle their decks faster, which is generally to their advantage. And inevitably, it will sometimes trash a card that your opponent is happy to get rid of, such as a deck-cleaning card they no longer need, or an action card they’re happy to turn into a victory card near the end of the game. Or, if you prefer empirical evidence, the stats recorded at councilroom.com also indicate that Saboteur has the lowest win rate of any card in Intrigue. The one place where Saboteur really shines is that it destroys “brittle” strategies, where your opponent needs to have exactly the right cards to make their engine work. But if you use a flexible strategy, then you can beat someone using Saboteurs simply by outpacing them economically, using virtually any other cards you like. If I were to ban Saboteur, it would be because no one wants to use it, not because everyone feels like they have to. Pandemic has a very short difficulty ladder. I often measure difficulty changes in co-op games by asking: if you can win on the hardest difficulty level, how many turns can you afford to waste on the easiest difficulty and still have a similar chance of winning? For Ghost Stories, it’s around 12. For Yggdrasil, it’s close to 20, maybe even more. For Pandemic, it’s more like 3 or 4 (split among all players, when dropping from heroic all the way down to introductory). The random variation within a difficulty level is greater than the average difference between levels. Suppose someone set up the deck for normal difficulty but told you that you were playing on introductory difficulty. There’s only a 52% chance you would see anything to prove them wrong before drawing the 4th epidemic, and more than a 19% chance that you couldn’t prove them wrong even after that (until you drew the 5th and final epidemic). Or suppose the deck is set up for heroic but you think it’s normal. There’s only a 42% chance you’ll figure it out before drawing the 4th epidemic, and a 29% chance you won’t figure it out even then. In my experience, the game is usually nearing a conclusion by that time. The point is, if you can consistently win on introductory level, even jumping straight to heroic will probably not cause you to lose. One of the hardest parts of Dominion is deciding when to switch from building your economy to buying victory points. I’ve tried erring on the early side and erring on the late side. I’ve tried carefully counting cards and coins to determine the average money I’ll have per hand. I’ve run test games against various predetermined strategies to see what would finish fastest. To my surprise, I’ve found a very simple rule that gives the same result as the complex strategies most of the time: start buying Provinces on the second turn you can afford to do so. The first turn you get 8 is usually a fluke, but the second usually means your economy is strong enough to make the transition. As with any heuristic, there are exceptions, and a good player will know when to break this rule. But this is a great rule-of-thumb to use as a baseline, without requiring complex math or memory-frying card-counting. The next time you play, see if it doesn’t give the same result as your usual method. You are often presented with the choice of making two attacks (with a battle action, or a ready action with attack + guard order) or making a single aimed attack (ready action with aim order + attack). When presented with this choice, aiming is basically never a good idea. It’s a holdover from the Doom board game, where you had to worry about ammo. In Descent, an extra attack is dramatically better in virtually all cases (even when fighting stealthy monsters in the Tomb of Ice expansion). And in the very rare case where you find aiming is better…that’s usually a sign that you shouldn’t waste your actions attacking in the first place. “But what if I never draw an item?” I can hear you ask. Easy–next turn, put an event that gives you an item on top of the event deck! Each combat card in the game tells you what happens if you win, depending on what card your opponent played. However, it doesn’t list what happens when you lose, which makes it easy to overlook some important interactions, such as the fact that Dracula’s Strength power will protect him from a hunter’s Stake even if he loses the roll, or that Holy Water is the only hunter card that even has a chance to stop Dracula’s Escape as Mist. and it made combat much more interesting. The Fortune spell hardly ever gets used at a cost of 4 arcane energy. A cost of 1 energy makes it much more tempting. Remember, you can use powers before your terrain card if you choose. The powers that move a settlement you’ve already placed can sometimes be used to remove your last point of contact with a given terrain, thereby letting you ignore adjacency when you place on that terrain later during your turn. This opportunity doesn’t arise often, but sometimes it can be a real game-changer. I take Tyr as my benchmark. He’s in the middle of the pack, and has a versatile ability that can be used often. Frey: You may take one extra action per turn, but one of your actions must always be in Vanaheim. Frey is clearly the strongest. Forcing him to take his extra action in a world with low action-efficiency blunts his advantage, and possibly provides a reason to use some Vanir actions that come up rarely. Thor: You receive a +1 bonus in combat against enemies (but not frost giants). Thor’s a bit ahead of Tyr on low difficulty, and a LOT ahead on high difficulties when you almost have to kill all the frost giants. Odin: Draw 3 enemy cards on your turn instead of 1. Choose one to play. Put each of the others on the top or bottom of the enemy deck, in either order. Odin’s pretty good in solo play (if you carefully count cards), but less useful in large games. Drawing 3 instead of 2 is very little help when the power applies every turn, but a significant upgrade when it’s intermittent. Freyja: You may take two or three of your actions in the same world, if you choose. If you fight frost giants multiple times, or fight the same enemy multiple times, you receive a +1 bonus to your second combat, and a +2 bonus to your third. Heimdall: When you visit Midgard, you may move the Valkyries up to 2 spaces, and you may take one viking directly from the World of the Dead (in addition to pulling 3 tokens from the appropriate bag). This is a huge upgrade, but a free viking from the world of the dead is just +1 to one combat (compare Thor), and you typically visit Midgard noticeably less often than you fight. The rules tell you that the game is more difficult with more players, but I was still unprepared for how large a difference it makes. After a little testing, I would say a 6-player game with the angry enemies but no Ragnaroks rivals the difficulty of a solo game including every single special card. If you find the game difficult, perhaps try playing solo or with only one ally until you get the hang of it. If you’ve found a difficulty you like, but end up playing with a different number than usual, adjust accordingly. If you examine the dice, you’ll find the green dice add mostly damage and the yellow dice add mostly range. Unless your hero is getting bonus damage from some other source, you’ll generally want to start with a weapon that has a green die. This will often make the difference between killing early monsters in one hit or two, and speed is critical. If playing a hero with evenly-split trait dice, a melee weapon is a good bet–they have the highest damage, and are the cheapest, both of which will be important if your hero has an inherently weak attack. Even heroes with 1 melee die and 2 in another trait should sometimes consider starting with an Axe, since it’s cheaper and stronger than any ranged or magic weapon, and your starting weapon is likely to be replaced with a treasure from a chest pretty soon anyway. The Bow in the town shop is basically a trap. Even if you have the errata’d version with Pierce 1, buying it is still almost never a good idea. And never start with 2 weapons (unless one of them is purely for the off-hand bonus). You can only use one at a time, and the tactical versatility you get by having two types of weapons isn’t worth nearly as much as the 2-3 potions you could have bought instead. Maturing “new vampire” encounters is key to winning as Dracula. If you don’t have any in your hand or on your track, use Dark Call to try to get one as early as practical. Try to use your Hide power to protect new vampires with delaying encounters, such as Bats (blocks a hunter 2 turns) or Fog (blocks all hunters for 1 turn), and use your trips to sea to manipulate the time of day so that if a hunter finds one, it will be at night. If you have 2 new vampires in hand, though, you shouldn’t necessarily use them both at once; when one matures, it removes everything else currently on your track, so you need to space them out if you want to mature both. Hunters, try to visit every city on Dracula’s trail, even if you know where he is, so that you can kill new vampires before they mature. Leave extra time, if possible, to deal with defenses. Also, some events can reveal encounters–try to use these to identify locations that are safe to ignore. It can be very tempting as Dracula to attack the hunters at night, especially when a single bite can take down Mina and earn you 2 victory points. However, no matter how great your tactic cards may be, you are still dependent on winning a die roll to gain any benefit, and if the hunters have the right items (which they usually will), it only takes a few unlucky rolls to lose the entire game, even at night. Prioritize your own safety! Attacking the hunters can pay off, but it’s a gamble. If you can stay safe without fighting, just run down the clock and make the hunters do the work. You can allow some enemies to advance farther than others without losing, and with the standard deck (no angry enemies or ragnaroks), you can choose two enemies to only fight once each (as long as Nidhogg doesn’t pull them). If you’re only fighting them once each, then forging their weapon isn’t efficient; it’s better to just spend extra vikings, or push them back indirectly with the Vanir or the runes. The best enemies to choose are usually Nidhogg and Jormungand, since their powers don’t become stronger as they advance. Any enemy in Odin’s Residence at the end of the turn will cause you to lose, but enemies that move into Odin’s Residence don’t get to use their ability that turn. Deliberately letting Nidhogg into the last space will prevent him from pulling another enemy on that turn, meaning one less battle you need to fight to win the game. Of course, you’d better have a plan for how to deal with Nidhogg when he finally gets there. Leaving the Vanir ready on the “automatically push one enemy” option, leaving a revealed frost giant with the last piece of the Mann or Tiwaz rune, or simply stockpiling lots of vikings can all get the job done. This is an advanced strategy for experienced players, but it can make a difference, especially on higher difficulties. The asymmetric gameplay in Descent can disguise large differences in player skill, and both sides benefit from understanding how the other plays. Give everyone in your group a chance to play as the overlord. Raising morale gives you an extra action every turn, which adds up fast. Keeping your morale at maximum should be a high priority until around the dawn of the third day, when there are few enough turns left that it starts to become questionable. The Paladin’s reroll ability is very good. A few fatigue is often the difference between making one attack or two, or between finishing off a wounded monster or not–and taking out an extra monster will usually prevent as much damage as a healing potion heals. New players often focus on healing potions, but long games swing in favor of the overlord, so vitality potions are usually much more effective. You have Operation: Maccabee in that list twice. I would like to take this opportunity to remind everyone to read the existing tips on a game before posting new ones, to make sure your tip hasn’t already been posted. Or at least skim them. I know it’s tempting to immediately post tips on the explorable games to exploit the attention they’ll be getting, but this time they’re all extremely popular games that already have a lot of tips, so there’s a very good chance that your favorite tip is already up there somewhere. The page describing the quest says you can get credit for up to 3 review grades and 2 tip grades, but you actually get credit for up to 4 and up to 3, respectively. Currently, it looks like there are a maximum of 13 exploration steps you can complete (hourglass, 4 reviews, 3 tips, web page, rulebook, video, follow, and play). Maybe videos and plays give credit multiple times; I haven’t tried them yet (hourglass does not). But it looks like if you make it so that you can’t get steps for grading tips without playing the game at least once, then there are only a maximum of 9 steps for games you haven’t played–and some games don’t even have all 9 of those available. Since you need 10 steps to finish the quest, that will make the quest impossible to complete without playing the game. So Jon’s #2 suggestion implicitly includes the #1 suggestion unless we add some more things you can do to complete steps (or reduce the number of steps required). It seems to me like it should be easier to get from the digital game page to the corresponding board game page and vice versa. Out of a couple games I checked, one of the board games had a link from its main page directly to the digital game page, but the other did not, and neither of the digital games had a link back to the original. Likely playtesting Darkest Night for hero balance. Sadly, judging from the comments on the game submission forms, there are still a bunch of games users submitted as early as January (and even a couple from December) that have yet to make it onto the site. I know you’re busy with lots of different things, but any idea when you may catch up to the backlog? Great to see so many games being added! Having a chance for the hourglass to take a long time to show up isn’t necessarily bad; I don’t need to see an hourglass on every single page I visit, especially if I’m skimming. But I do want to occasionally see an hourglass even when I’m flipping between pages a lot. So I’m thinking the maximum time of 180 seconds is probably fine; it could maybe even be higher. But the minimum of 90 is way too high. I’d try more like 10 or 15 seconds at the low end, so I sometimes see it even if I’m not reading the page thoroughly. I’ve played a lot of deck-building games that feel like Dominion variants. “Puzzle Strike is basically Dominion, except you get ahead by playing victory cards instead of by buying them.” “Thunderstone is basically Dominion, except there are two currencies and you can only spend one each turn.” There are other nuances, but the basic concepts and principles carry over virtually untouched. Eminent Domain does not feel like a Dominion variant; it feels like a new game. You and your friends can also make up stories and role-play without any system at all–all the kids I knew growing up did it all the time. By that argument, every RPG ever written is awesome. I haven’t played D&D 4e, but in principle, if a system doesn’t provide effective tools to HELP you do fun stuff, I think that’s an entirely legitimate complaint against the system–probably the most legitimate complaint that it is possible to level, in fact. Your strategies recommending specific characters strike me as overly vague. You tell us that you recommend these characters, and then you describe the rules governing them, but you don’t actually tell us why those characters are more useful than other characters, or how to use them effectively. The inclusion of multiple characters in the game is obviously intended to increase variety and replayability. If you’re going to advise us to restrict our character selection (and thereby effectively reduce the amount of content in the game), I feel you ought to provide a well-articulated reason for doing so. Do you intend to leave the “own it” and “want it” buttons? Underground replaces the neutral tribes from the original game with monsters, which occupy fewer spaces, but have 2 tokens per space and reward you with a “popular place” or “righteous relic” token if you defeat them. The places/relics are basically additional racial powers, but they can be captured and used by other players. My impression was that this increases the luck dependence of the game and leads to more fighting between players. My first game, I also noticed we had several different effects that gave extra race tokens, but none of the new races actually have extra tokens available to be gained, so they did nothing most of the time. The lakes are also replaced with river spaces that can be conquered with only 1 token, but cannot be held or scored at the end of your turn (you redeploy those tokens). And, of course, there’s several new races and powers. You do realize you spend a lot of time fighting monsters in Arkham Horror, too? It’s true that this game doesn’t have event cards full of flavor text like Arkham Horror…then again, Ghost Stories wasn’t originally developed in English, so if it did, I bet we wouldn’t be playing it in the first place. The more I play this game, the more it seems like my losses are due mostly to “unfair” outbreaks that are essentially unpreventable. 1) An adjacent city had an outbreak some time earlier in the game, so there was already 1 cube in the city. 2) The new infection card is reshuffled with the discards, and then drawn again in the infection phase of the same turn. 3) Both #1 and #2 at once! You could hypothetically stop #1 by treating every single outbreak cube, or #2 by playing Forecast, Resilient Population, or One Quest Night immediately after the epidemic, but those both seem like very expensive options to keep taking throughout the game to prevent very low-probability disasters. How do people handle this risk? I know several players who have put each card type into a small plastic bag, and have fit all of the cards (up through Hinterlands, but not including randomizers) into a single box the size of the base game. That thing must still weigh quite a bit, but it keeps things very compact. I’ve gone on a couple trips where I brought a mix of cards that was just enough to fill one box, and then selected randomly from those when I wanted to play. I’ve also seen a post suggesting that you select a random set of cards (or two) in advance, and then bring just those cards with you. You’re unlikely to use every single card on a single trip anyway, and as long as you change your “active” set between trips, every card still shows up from time to time. I like to pick games apart and understand them. I also like to design my own games and variants. Some of my designs have been published by Victory Point Games.